Xylem's global water leadership spans the total water life cycle for food and beverage operations across a wide range of applications, including everything from water supply and water reuse, to boosting and fire suppression. Our holistic approach to the food and beverage market enables our customers to better control their business by increasing productivity and maximizing energy and cost savings, all while using water in a responsible and efficient manner. YSI analyzers are used extensively in the Food/Beverage space for raw materials testing, in-process analysis, final product QC testing and effluent monitoring . 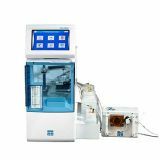 The Eclipse 4760 Purge and Trap Sample Concentrator sets a new standard for ease-of-use for volatile organic compound (VOC) analysis. 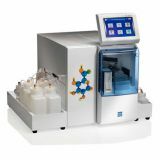 The new 4th generation system includes the popular features from the Eclipse platform that chemists around the world rely on for accurate, dependable results along with technology enhancements, intuitive software, and a slim-line, open architecture design that saves bench space and allows easy access to components. 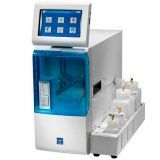 The YSI 2900 features an intuitive graphical user interface, a USB port for data retrieval, and the ability to measure samples from a variety of sample holders including 96 well plates and microcentrifuge tubes, making 2900 series analyzers the easiest to use and most cost effective way to measure the following chemistries in a wide range of application areas. 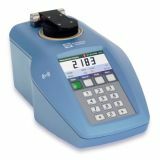 YSI has earned a reputation as the Gold Standard in bio-analytical instruments with highly accurate sensors and rapid results. The key to generating analyte-specific results in 60 seconds or less is YSI's innovative biosensor technology. The YSI 9300 and YSI 9500 are economical photometers in small packages for any application. 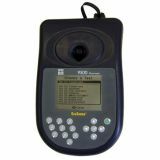 These portable photometers allow you to easily take readings directly in the field for 100+ parameters. 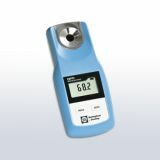 For many years, beverage manufacturers have adopted digital refractometers as their primary instrument for measuring the final dilution ratio (°Brix) of re-constituted fruit juice not only to assure product quality but also in an attempt to reduce losses by tightly controlling concentrate yields. 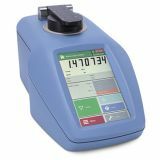 The Abbe 5 by Bellingham + Stanley is an affordable refractometer ideally suited for use where a wide refractive index measurement range is required such as in small contract laboratories or applications where sample throughput is relatively low. The instrument is also ideal for practical demonstrations and experiments in chemistry and physics laboratories of schools, colleges and universities and is the perfect partner to the new Model D7 optical polarimeter. 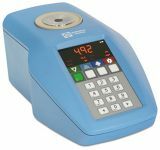 NEW for 2017, the RFM300-M (RFM330-M + RFM340-M) brings our popular 300+ refractometer up-to-date with a line of high precision Peltier temperature controlled benchtop refractometers. Featuring wide beam optics and a durable membrane touch-button interface with 4" high resolution display, the RFM300-M Series is ideally suited for use in demanding applications within the food, beverage, chemical and industrial industries. The RFM300-T Series is Bellingham + Stanley's latest release in a line of high precision Peltier temperature controlled benchtop refractometers. Featuring wide beam optics and a new 7" touch-screen user interface, the RFM300-T Series is ideally suited for use in demanding applications within the food, beverage, chemical and industrial industries. 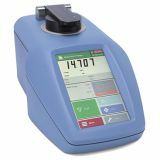 NEW for 2017, The RFM700-M Series refractometers (RFM712, RFM732-M, RFM742-M) are robust, low cost, fully automatic instruments that are ideally suited to the food, sugar and beverage industries but can also be used in many other non-food applications where temperature control is not required, for example measuring sugar (°Brix) concentrations in the food processing industry. 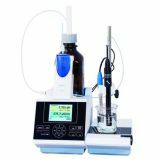 The RFM900-T Series (RFM960-T + RFM970-T) of high precision Peltier temperature controlled benchtop refractometers, featuring a wide measuring range up to 1.70 RI and new 7" touchscreen user interface, are ideally suited for use in applications within the chemical, petrochemical, pharmaceutical, flavours and fragrance industries as well as in academic research. The easy to use data loggers with USB connection monitor the temperature and/or humidity during transport and storage of sensitive goods like medicine, food, serums etc. 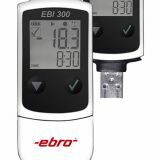 The EBI 300 and EBI 310 USB data loggers are suitable for multi-use, the EBI 330 USB data loggers are single-use versions which can be ordered preconfi gurated and are used especially when returning a more expensive multi-use data logger to the sender after a shipment is difficult. Keep your food quality high! Potentially harmful substances such as acrylamide can quickly accumulate in old frying oil in high concentrations which can also pass into the fried food. At the same time, the food loses its flavour and no longer becomes properly crispy. Using the FOM 330 measuring device, you can easily determine the perfect time for changing oil. The fried food thus remains of a consistently high quality. 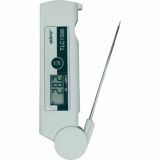 The ebro TLC 700 Basic Fold-Back / Folding Thermometer for high accuracy temperature measurements according to HACCP standards. The practical folding thermometer TLC 700 is suitable for measuring the core temperature during transport, storage and receiving of goods. Thanks to the foldable penetration probe the waterproof thermometer (IP 65) can be stored safely. 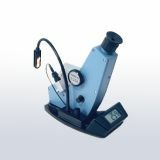 The device is primarly characterized by its small size and the large display and comes with a calibration certificate. 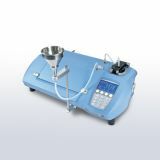 The ebro TLC 730 is suitable for process monitoring, measurements and control tasks in food products industry. It provides fast, exact temperature monitoring for transport, storage and cooling chambers and for incoming goods inspections. It is both an infrared as well as contact thermometer (Infrared surface temperature / Thermocouple core temperature). You can choose between these two measuring methods at any time. When using the thermometer in infrared mode, there are two integrated laser pointers to help target the desired measuring surface. 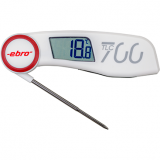 The ebro TLC 1598 is a Fold-Back Thermometer with a foldable Pt 1000 Penetration Probe. 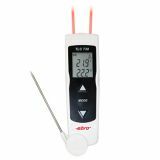 This high accuracy, small and robust lithium battery operated thermometer, is equipped with a stainless steel probe. 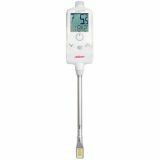 The TLC 1598 is general purpose thermometer, and is a handy measuring instrument for the temperature of air, liquids and plastic material (meat, fruit, etc.). The electronics are controlled by a microprocessor ensuring a high measuring precision reading and linearity over the complete measuring range. The TitroLine® 7800 enhanced the universal features of the TitroLine® 7750 with an additional IDS® measurement input. Hence the TitroLine® 7800 is able to perform potentiometric titrations with analogue or IDS® electrodes up to volumetric Karl Fischer titrations. The IDS® measuring input is multifunctional. 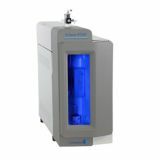 Digital sensors for the determination of pH and ORP value, the conductivity up to the dissolved oxygen can be connected. 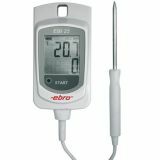 ebro EBI 25 wireless temperature and humidity data logger system (EBI 25-T, EBI 25-TE, EBI 25-TX, EBI 25-TH) with radio technology for use in cold stores, warehouses, supermarkets and other environments that need constant monitoring of temperature and/or humidity so that stored goods are protected. Hand-held refractometers are low-cost, portable instruments used for ‘on the spot’ determination of Refractive Index (RI) of liquids or the concentration of solutions. Offering a choice of scales, Eclipse refractometers can be used in a multitude of applications across many and varied industries.